Here’s a first: a full-sized chandelier that was made using 14,000 tampons. Created by Joana Vasconcelos, it’s “soaking up the gazes of art lovers, and will continue to do so until the Belem Cultural Center exhibition ends, on May 18, 2010.” Click here for first picture in gallery. Called “The Bride” this chandelier is right now in a gallery in Lisbon. 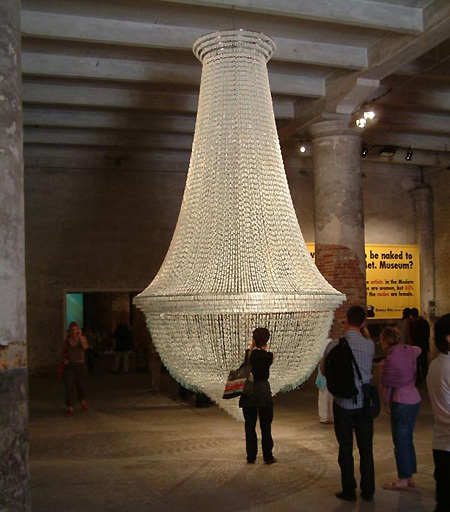 It’s a 5-meter tall chandelier made from wire, cotton thread, and over 14,000 tampons.